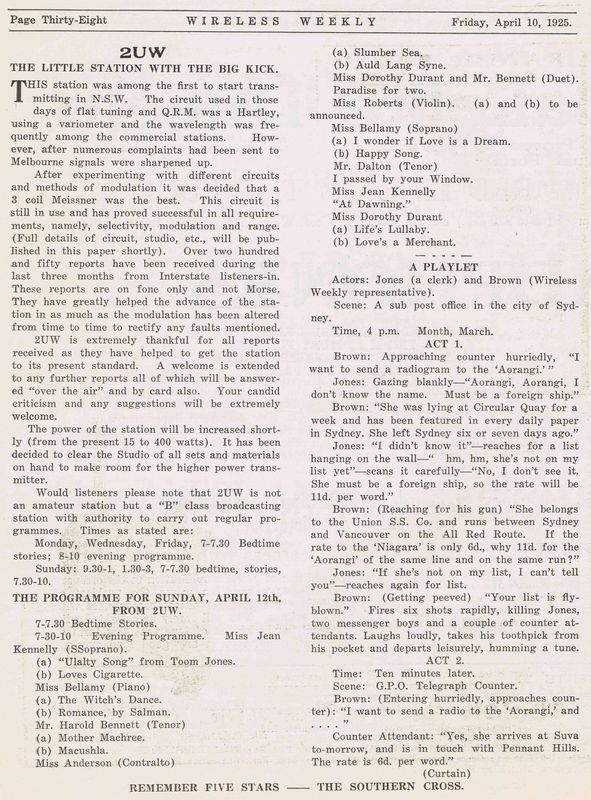 1925 Australian radio is still being explored. Early Radio Magazines are full of technical information and parts advertising for the hobbyist. This cover of Wireless Weekly is a good example of what you will find inside. The 'expert' is king. You can write in with questions about technical problems you are experiencing and the 'expert' replies, hopefully solving the same problem for hundreds of other enthusiasts. On the right is a good example from the same issue above. We see technical information on the equipment used by 2UW to broadcast as well as their interest in hearing back from listeners. More on the feedback methods as we continue through the years. 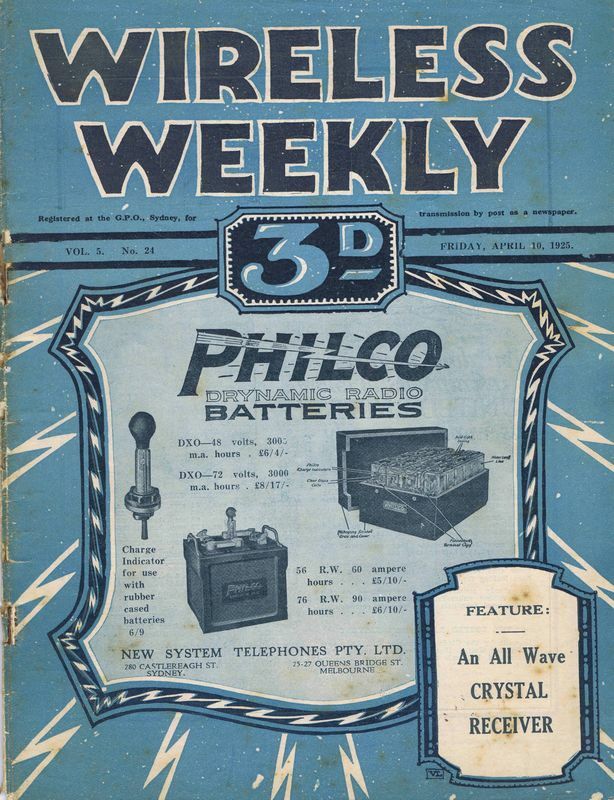 In this issue we start seeing an example of what people are actually listening to on the 'Wireless' in 1925. We also see an example of a 'comedic' segment they refer to as a Playlet. Personally I think 2UW need a new writer.